This is the home of football, with a history to match. 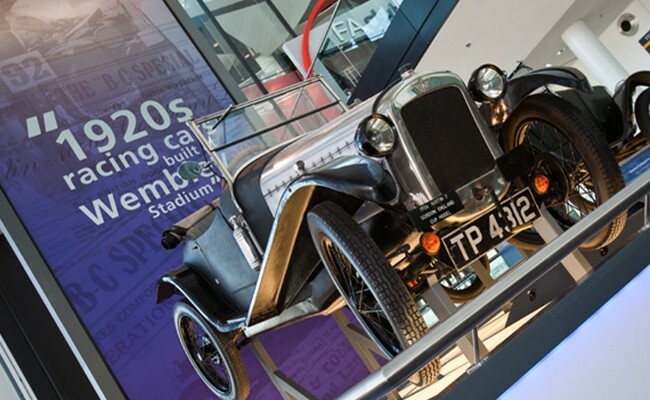 Some of this history can be seen in displays at the stadium. Working alongside Mather & Co, we designed the graphic elements for the areas holding the historic items. A simple graphic approach was used to bring more attention to the items, with related quotes featured to give the items context. 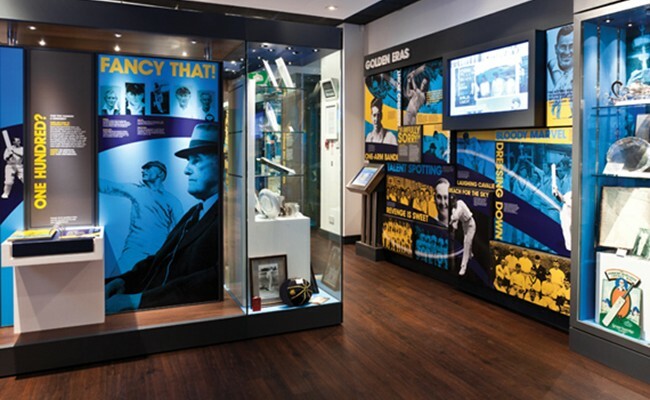 Working alongside the museum designers Mather & Co we were responsible for the design of the graphic elements for Yorkshire CCC’s brand-new museum. Yorkshire CCC were keen to show the vibrancy of the sport and marry this with the great history which the sport enjoys. 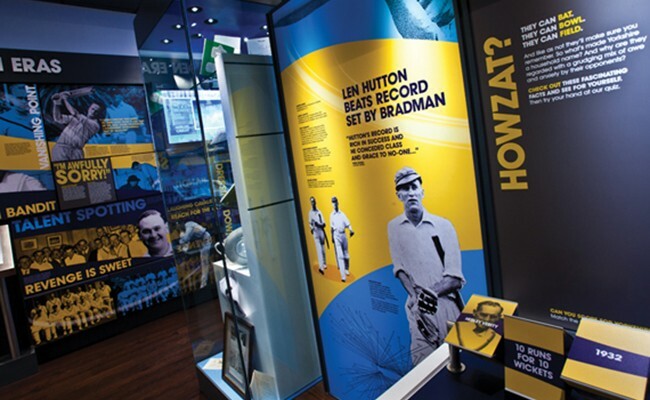 The museum predominately uses black and white imagery, reflecting its history, alongside the bold Yorkshire CCC colour palette of blue and yellow. The graphic device of a swoosh is used throughout the museum to reflect the key movement in cricket, both in the movement of the bat whilst batting and the arm whilst bowling. The graphic depiction of movement brings an element of vitality to the graphics, with the strong colours creating a striking space. 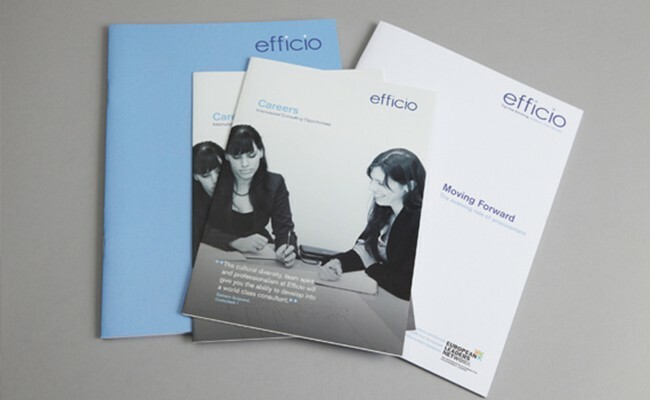 The brand identity for e-procurement company Efficio was designed to be clean and professional whilst the rounded style of the type reflected their softer side. 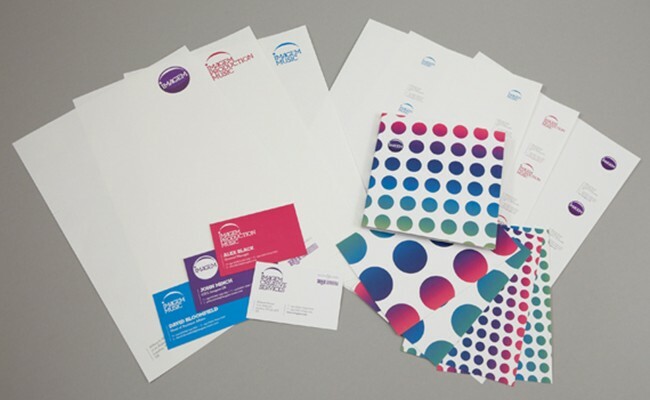 The identity’s realisation has created an immediately identifiable set of collateral and advertising. 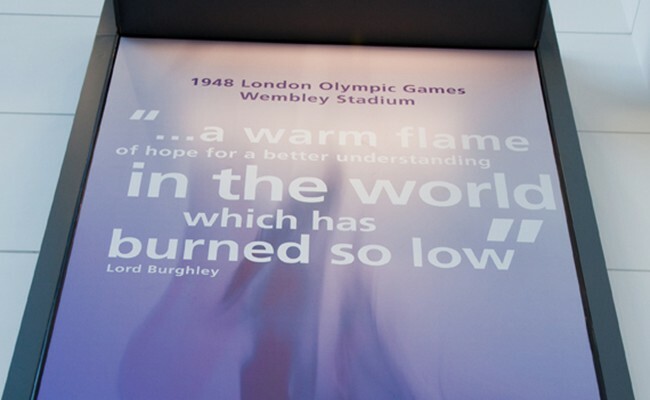 The grounds of Wimbledon required graphics and installations to engage the huge range of visitors. 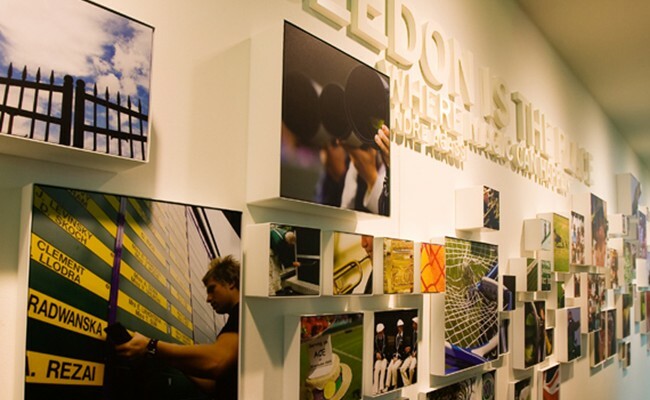 Different areas in Wimbledon were given different styles, from historic black and white imagery framed in stylish white frames to brightly coloured imagery overlaid to create a collage of tennis and Wimbledon ephemera. 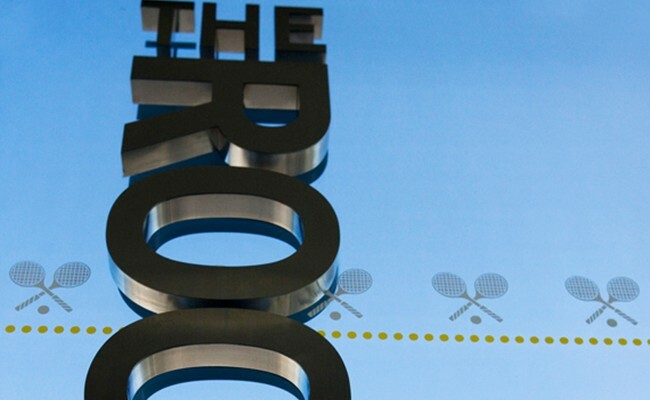 Each area was styled individually to give specific areas their own identity, but the design of all areas reflected the key values of Wimbledon. Imagem are the world’s largest, independent music publisher and they invited 1977 Design to look at their brand identity and brand hierarchy. The company was formed by acquisition and so included a number of other companies and brands which needed bringing together under the Imagem group. The new brand identity and hierarchy positions Imagem as a coherent group, creating the flexibility to be used as the main brand, sub-brands and an ownership brand, which allows Boosey & Hawkes and Rodgers & Hammerstein to retain their famous brand identities whilst being identified as part of the Imagem group. Creative uses of the Imagem brand identity and elements allow Imagem to reflect their personality using this base.